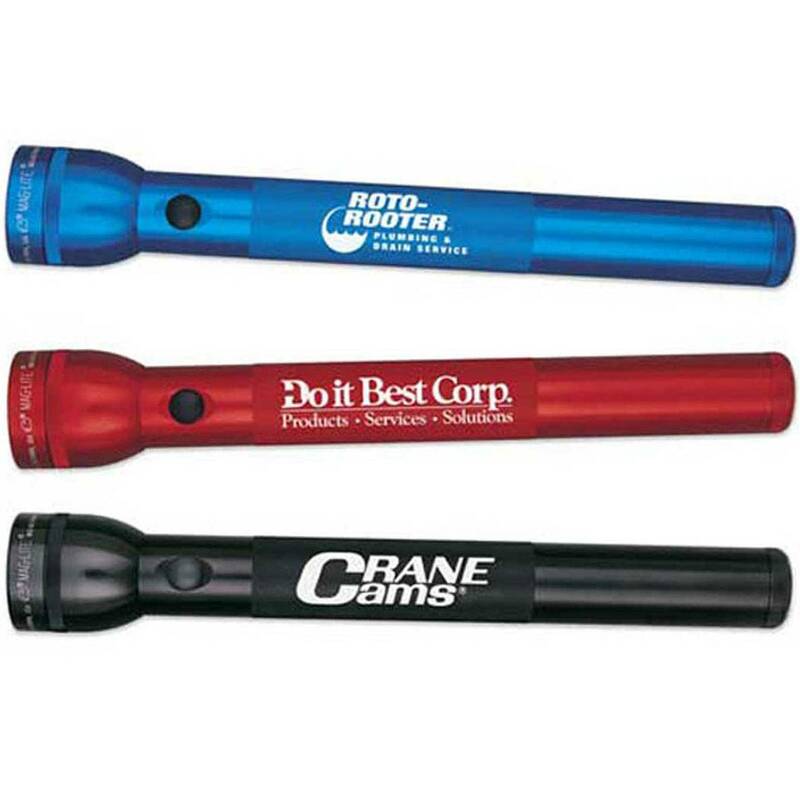 Every Mag-Lite® flashlight embodies a precise balance of refined optics, efficient power, durability and quality. Mag-Lite® D-Cell flashlight includes two high intensity White Star® Krypton Gas Lamps for enhanced brilliance and extended range. Spare lamp safely secured inside the tailcap. Barrel 3 3/4" x 1"
14 3/4" x 1 5/8" (d) barrel; 2 1/4" (d) head. Batteries are not included. Add $2.50 per battery (inserted); 4 batteries required. Please specify on your order. Engraving shows as white on flashlight.